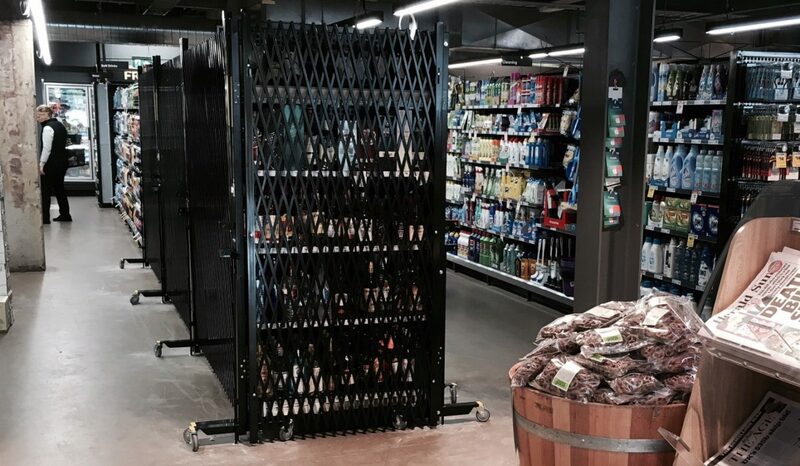 This installation was a prototype application to secure Woolworths’ liquor aisles with a portable expanding barricade that would deter persons from being able to reach the bottles of alcohol through the barricade or alternatively if they were indeed able to reach through the barrier then to prevent them being able to pass bottles of alcohol through it.The results were successful and the barricade is serving its purpose as a powerful loss prevention tool reducing both theft and shrinkage.This is addition to its dual purpose function of ensuring that the licensee is compliant with the prevailing state liquor licensing legislation. The double diamond mesh portable expanding barricade has been tested for safety under the latest OH+S legislation and it has also been tested by an independent NATA testing authority for compliance with numerous provisions of the Australian Standards for Temporary Fencing and Hoardings AS 4687-2007,namely for dynamic impact,simulated climbing and foothold aperture tests,having passed these tests successfully.The successful testing also confirms this steel fabricated product’s characteristics as being rigid,formidable and strong yet extremely easy to operate. 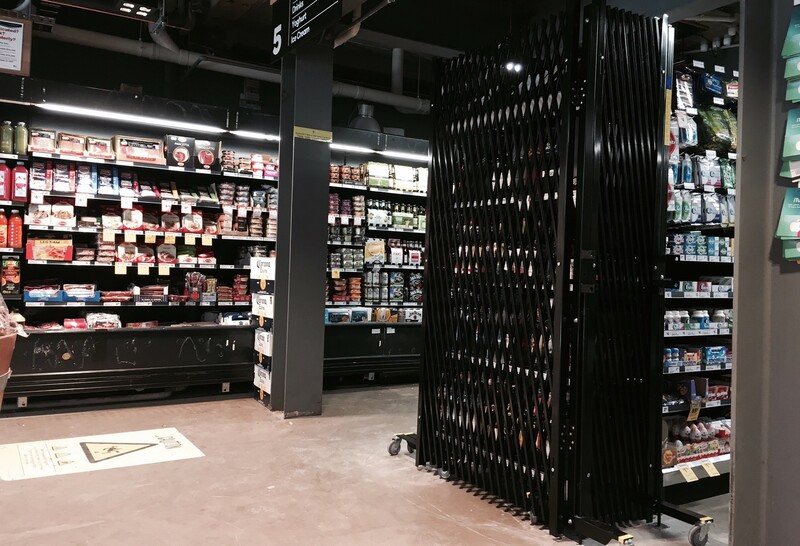 For further information on ATDC’s comprehensive range of both steel and aluminium barricades visit their website at www.trellisdoors.com.au/products/commercial-security/barriers-and-cafe-barriers or contact ATDC toll free from anywhere in Australia on 1800657435.